...as the "inspiration" for the Scooby-Doo crew in their newest series, Be Cool, Scooby-Doo!, coming in Fall 2015 on Boomerang! Note that this proposal was the second version of the concept pitched to the networks. The first one, based on the concept of "The Archies (the cartoon musical group who had been on the air for a year) and a talking dog (not Hot Dog) solving crimes" had been rejected! The detailed, well-researched explanation can be found HERE. An urban legend postulates that Many Loves of Dobie Gillis was actually a reworked Archie tv series proposal! Interesting idea...except that Dobie was based on Max Shulman's previously-published stories. Plus, Dobie's premise was to have numerous girlfriends...hence the name "Many Loves of..."
Dobie's older brother is Ron Ely who would later play Tarzan, Doc Savage, and the Golden Age Superman. And the dark-haired girl is Yvonne Craig aka Barbara Gordon/Batgirl from the 1960s tv series! While there had been a successful Archie radio series, there was no Archie tv pilot produced until 1964, the year Dobie went off the air. There was also a 1976 pilot that would've starred David Caruso as Archie, but he was replaced at the last minute before filming began. You can see the details of the two pilots (as well as the 1964 pilot itself HERE. In 1999, a new animated series debuted about a group of teenagers investigating unusual happenings and crimes. No, it wasn't one of the many Scooby-Doo series, though there was a new animated tv-movie that year! 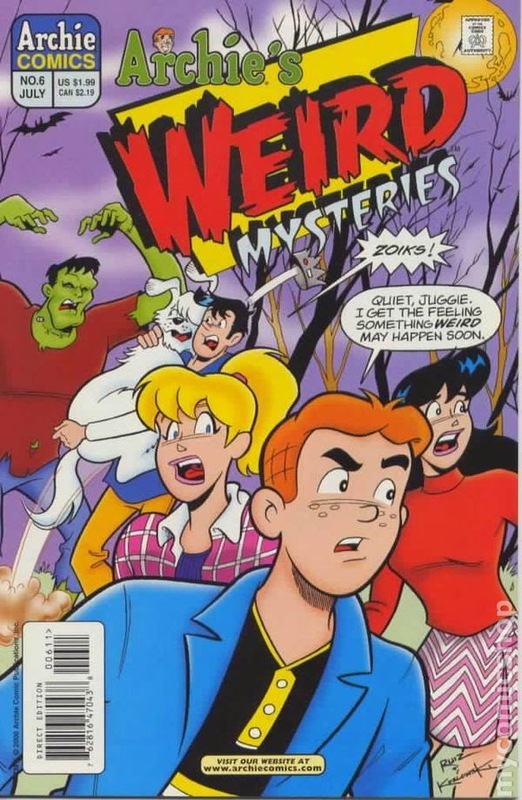 You'll note Jughead's use of Shaggy's catchphrase...on the cover, yet! The show ran only one year (plus reruns). The spin-off comic outlived it by two years! To recap, Many Loves of Dobie Gillis (supposedly inspired by Archie) inspired Scooby-Doo, which, in turn, inspired Archie's Weird Mysteries! Reality is stranger than fiction! 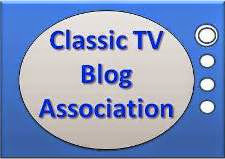 Click HERE for a complete list of links to other retro-kool entries! In TV as elsewhere, imitation is *surely* the sincerest form of flattery! Thinking of specific Dobie episodes, isn't there one about a giant chicken? I haven't seen them all but need to make a point of doing so!! 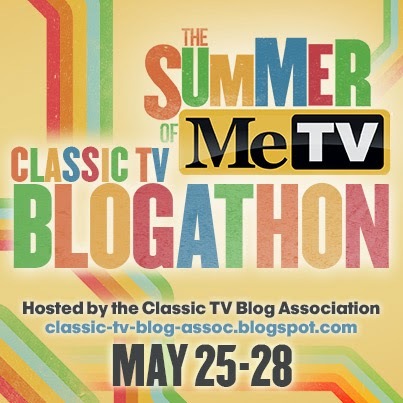 Another great post from you on this hippest of sitcoms!! You're thinking of the first-season ep "Chicken from Outer Space". The TV version of Dobie Gillis seemed to have more in common with Archie than with Shulman's stories.